The operater at Ayer tower has Extra 1569 East headed up the Stony Brook at Willows Road referred to then colloquially as "Wagonwheels". The signal bridge nicely frames the subject. In those days only Lowell or Rigby bound through freights would take this route. 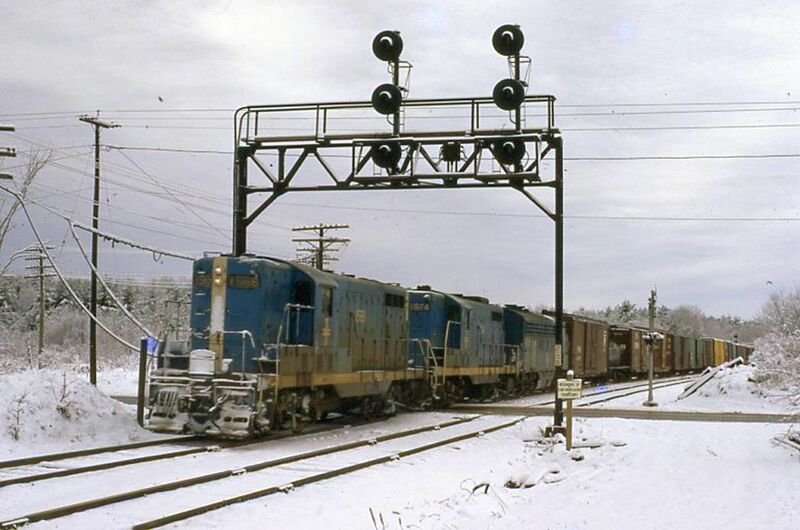 Freights headed to Boston would have been routed via the Fitchburg route that diverges just west of this location. GP-9s still reign as the "big" power. Photographed by Ron DeFilippo, February, 1972.